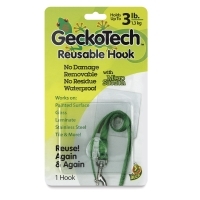 GeckoTech Reusable Hooks utilize a revolutionary micro-suction technology that allows them to be removed safely, again and again, without surface damage. 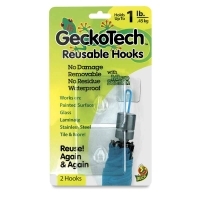 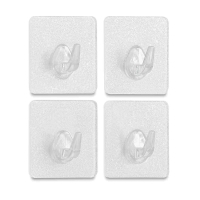 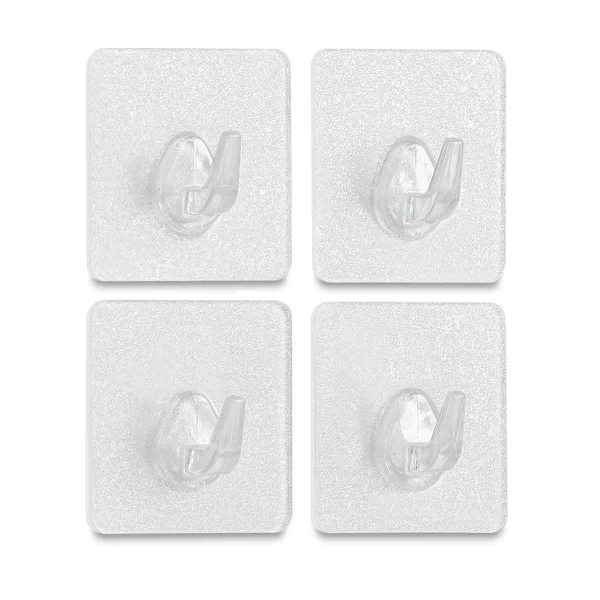 These hooks may safely be applied to painted drywall (except flat finishes), tile, laminate, glass, stainless steel, and other smooth, hard, nonporous surfaces. They perform best on painted surfaces that are easy to clean and resist stains. 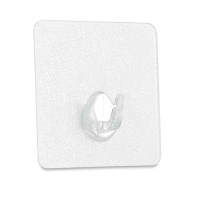 Do not use them on painted drywall with a flat or textured finish, wallpaper, or surfaces that are porous, peeling, uneven, coarse, or fragile. 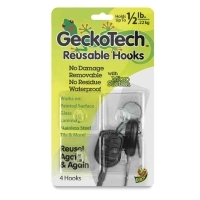 Choose from a variety of sizes that hold up to 0.5 lb, 1 lb, 3 lb, and 5 lb. 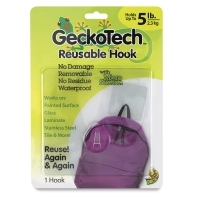 ™ GeckoTech is a trademark.